Many families and friends enjoy getting together on Burns Night to share a supper of Haggis, Neeps and Tatties with Whisky as the preferred tipple. You can find out more about Haggis here. During the evening poetry written by Robert Burns is recited, sometimes Scottish songs are sung and then the Haggis is traditionally ‘piped in’ by a Bagpipe player in full Scottish dress where it is toasted on arrival at the table. At Burns night events many men choose to wear kilts and women might wear a shawl, skirt, sash or dress made from their family tartan. A tartan is a cloth made of wool woven in a distinctive check pattern using different colours across the warp and the weft and clans have their own distinct patterns that have been replicated over centuries, often nowadays in more modern blends of viscose and polyester as well as in wool. Put a feather in your cap for the Hat Festival! or something rather cute in natural brown! …and remember, if you want to get ahead, get a hat! In the town of Bridport in West Dorset we have a community orchard that was begun in 2009 with the planting of 23 half standard apple trees as part of the Symondsbury Apple Project. In February 2010 this was added to and there are now 58 fruit trees in total, including some old and rare varieties that have stood the test of time. All the trees and the green spaces surrounding them are carefully tended by a group of local volunteers. The Community Orchard is a public space for everyone to enjoy and lies just behind St Marys church off South Street in St Marys Field. It regularly holds community events that have a traditional theme, often with the imbibing of good local Cider from West Milton Cider Company. 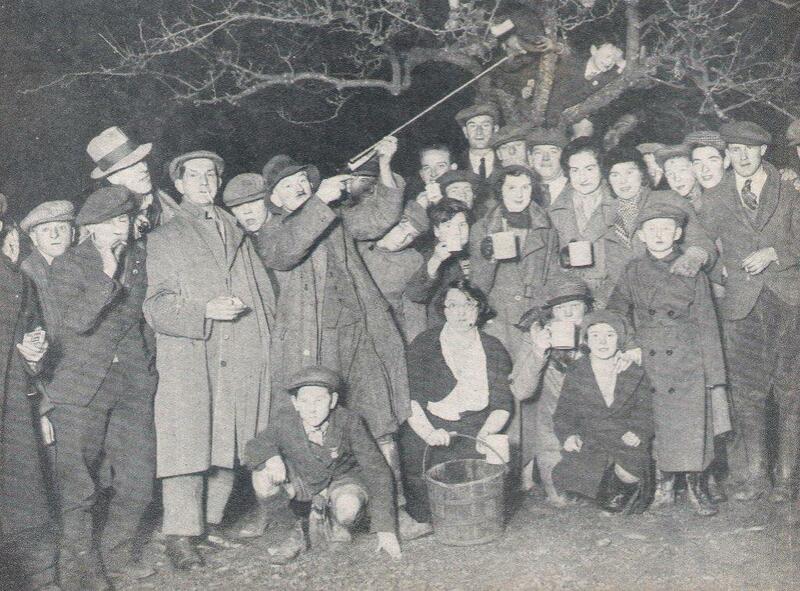 Around the 18th of January each year a custom known as a Wassail has been revived in the orchard which involves much merriment, mulled cider and hot apple juice. Wassail gets its name from an Old English greeting “waes hael“, meaning “be well”. Said to be a Saxon custom where at the start of each year, the lord of the manor would shout ‘waes hael’ and the assembled crowd would reply ‘drinc hael‘, meaning ‘drink and be healthy’. 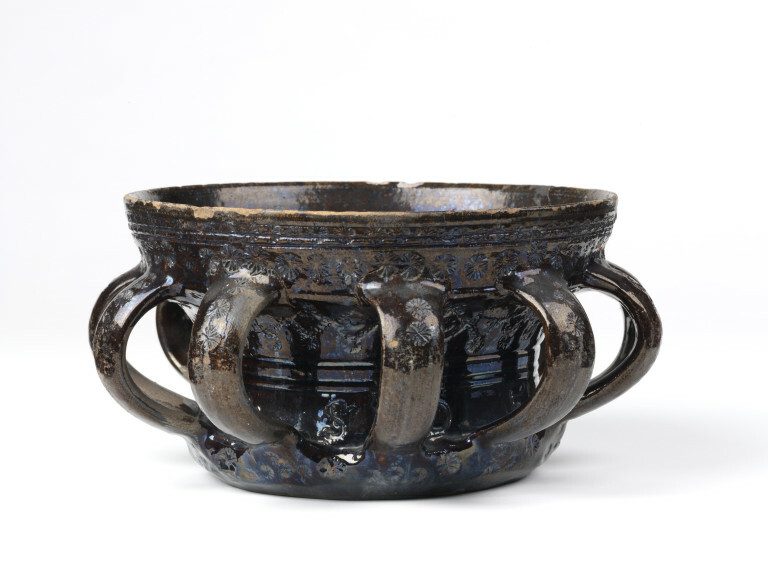 A Wassail Bowl is a great thing, a vessel of carved wood or pottery featuring many handles for shared drinking, it is passed around an orchard amidst singing and shouting and was especially popular in the cider producing counties of the Southwest, primarily Cornwall, Devon, Somerset and Dorset. Its our Wassail, jolly Wassail, joy come too our jolly Wassail. In Bridport, our own local troupe of morris dancers will be entertaining the crowds at the Bridport Wassail on Sunday the 21st January from 3pm onwards with traditional folk music and morris dancing with sticks and hankies. Livingstone Textiles are proud to supply Wyld Morris with the bells, ribbons and tatter coat fabrics required for their kit. Wyld Morris are based at Monkton Wyld Court at the sustainable living community to which they contribute towards funding in return for a practice space in their beautiful pine hall on Wednesday evenings.